January is the most ominous month of the year. It begins with the hopeful pledge that this is the year you’ll change your evil ways and become the person you’ve woefully neglected to morph into up to this point in your life. You’re going to go to the gym every morning at 5am, cut carbs, stop swearing, start eating bran, quit drinking, stop biting your nails and twirling your hair, quit smoking and spend more time with your friends. But, by the end of January you are so stressed from treadmill-ing instead of sleeping and because you haven’t had a decent meal in 3 weeks that the only thing keeping you from running down the street hammered on cough syrup, screaming obscenities while biting your nails and sucking down a foot-long meatball hoagie is the fact that instead of quitting smoking you now have a 2 pack a day habit. Your friends don’t want to be around you anymore because you look like Gary Busey and smell like a gym sock. Not to worry. I have a resolution that will save you from your resolutions. It’s a solution that will make you appreciate those 3 long weeks of naively attempted transformation because it brought you to this reward. This quick fix will make you whole again and put your anxiety-ridden mind at ease so you can get on with the rest of 2013. 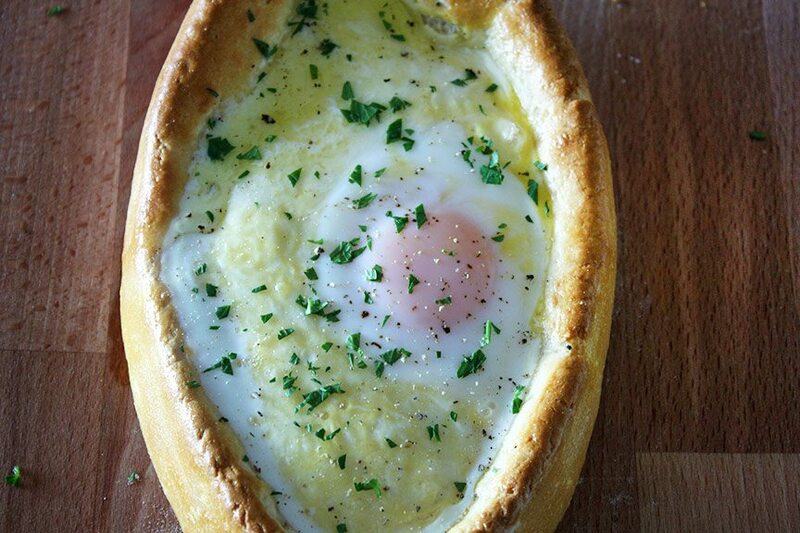 The answer is Georgian cheese bread. Georgia as in a republic in Eastern Europe, not the home of Ludacris. Only, this is no ordinary cheese bread. This is the Greek god of cheese bread, the Olympic gold-winner, the diamond in the rough, the queen bee, if you will. 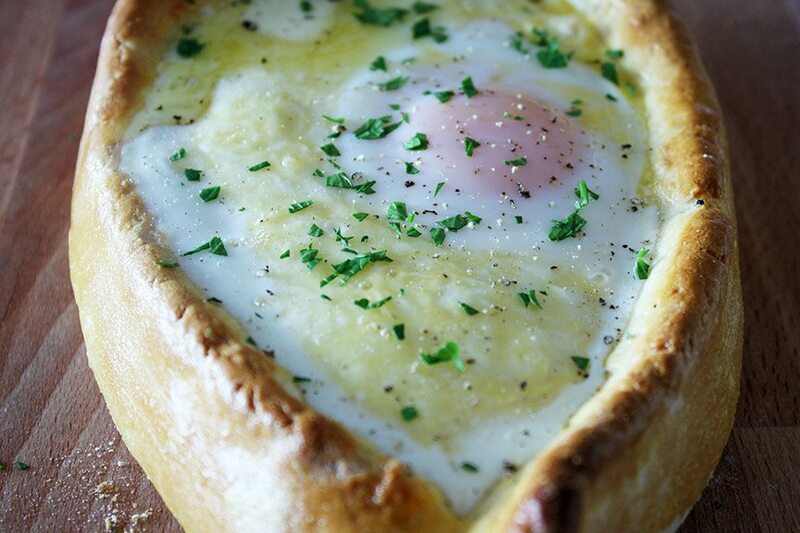 Khachapuri is popular all over Georgia. Each region has their own variation, some with the cheese on the inside, some with cheese on the outside, some with potatoes, some with tomatoes, some with butter, some with lots of butter. It’s a breakfast, a hangover cure, and a late night snack. It’s a miracle that Domino’s hasn’t claimed ownership and ruined it by now. The Adjarian version is open-faced bread, crunchy on the outside and soft like a German pretzel on the inside, that is in the shape of a gondola (yes, as in a boat). The best boat EVER, might I add. It is filled with creamy sulguni cheese (like mozzarella) and baked until the dough is golden and the cheese is practically molten. A fresh egg is plopped on top then sizzled under the broiler for just the briefest of moments before the big finish: a nice pat of butter. Devouring this beautiful creation is a delicate balance between removing bits of the golden bread retaining wall to mop up the runny cheesy-buttery-eggy filling and keeping the liquified insides securely contained. It’s an art. You’re good enough. You’re smart enough, and doggone it, people like you (just as you are). 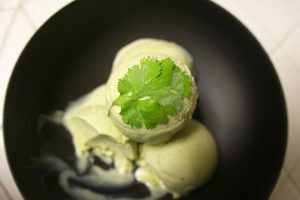 Get step by step photos of this recipe on the Facebook page. Heat water and milk until just warm to the touch. Remove from heat and sprinkle in the yeast and sugar. Let stand for 10 minutes until bubbly and creamy. In a small bowl, whisk together the egg and the oil. 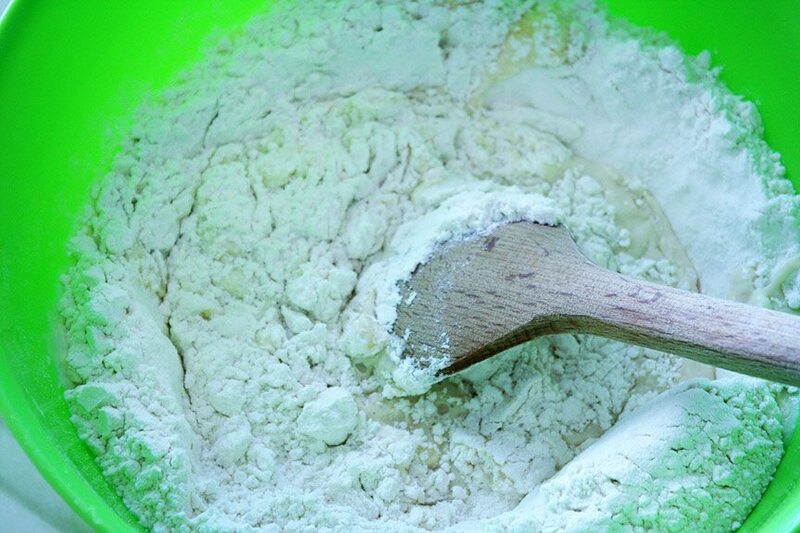 Put the flour in a large bowl and create a well in the center. 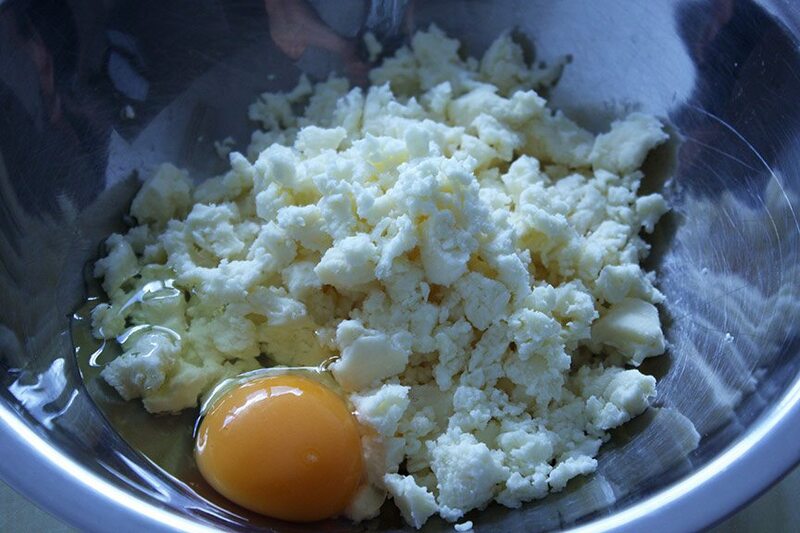 Add the egg-oil plus the milk-yeast-water mixtures. Using a wooden spoon stir to combine from the middle out. Once it gets a bit tough to stir, use the fingers this world gave you and knead the dough until it’s mostly combined. 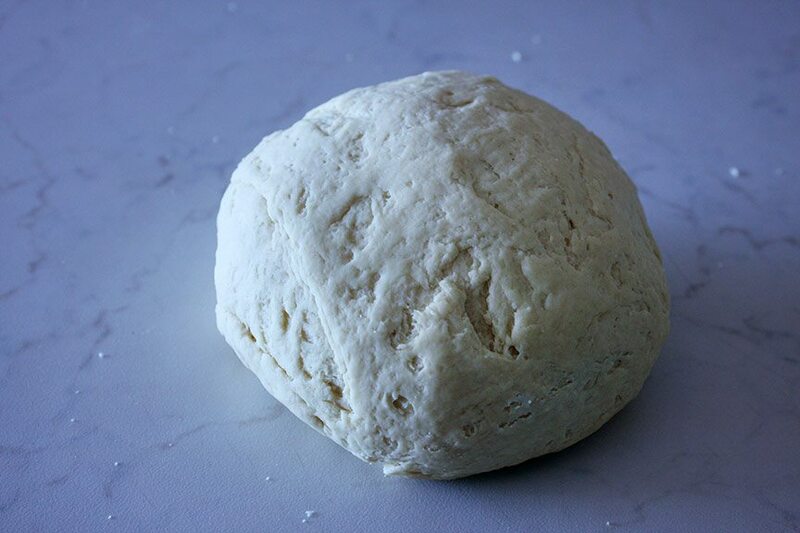 Turn dough onto the counter and continue to knead until dough is homogenous and begins to smooth out. It won’t become completely smooth like pizza dough at this point, which means it still has a little character. Place dough back in the large bowl. Cover with plastic wrap then a tea towel. Put in a warm place and let rise for 2 hours until at least doubled in size. In a bowl, combine grated cheese with 1 egg. I used a feta here in Croatia that is actually quite stringy and mozzarella-like when melted, but most creamy salty cheeses will do. Set aside. Whisk egg yolk in a small bowl and set aside with a pastry brush. Preheat oven to 500F (260C). 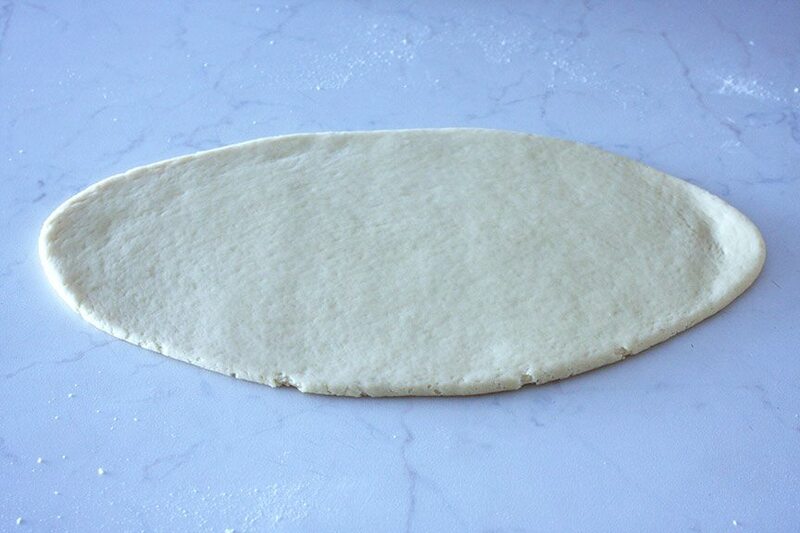 Split the dough in half. At this point, you can tightly wrap each piece of dough in plastic and freeze for those inevitable late nights or early mornings when you absolutely must have some cheese bread in your belly. 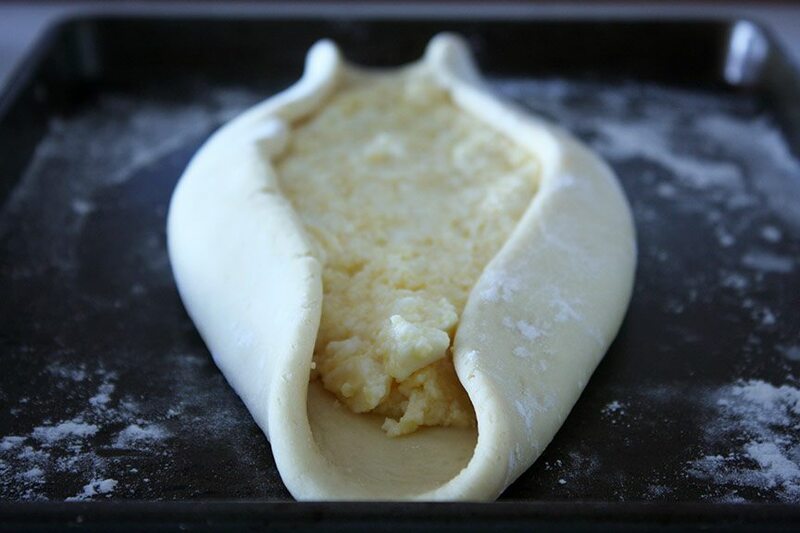 To make 1 khachapuri, gently knead 1 piece of dough for a couple minutes until smooth. Shape into a ball and let rest, covered for 10 minutes. You can just turn the bowl over on top of it. On a floured surface, roll out each piece of dough in the shape of an eye or an American football (an oval with points at either end). Transfer dough to a lightly floured baking sheet. Pour the filling into the center of the dough. Spread it out leaving a 2 inch border all the way around. Fold the edges of the dough inward overlapping the cheese. To seal each end, first press a dough flap from one side inward. Brush the top of that dough flap with a bit of the egg yolk. Press the opposite dough flap on top of the egg to seal. Repeat with the other end. Once done, the cheese bread should be in the shape of the aforementioned gondola. You can see more photos of how to assemble the cheese bread here. 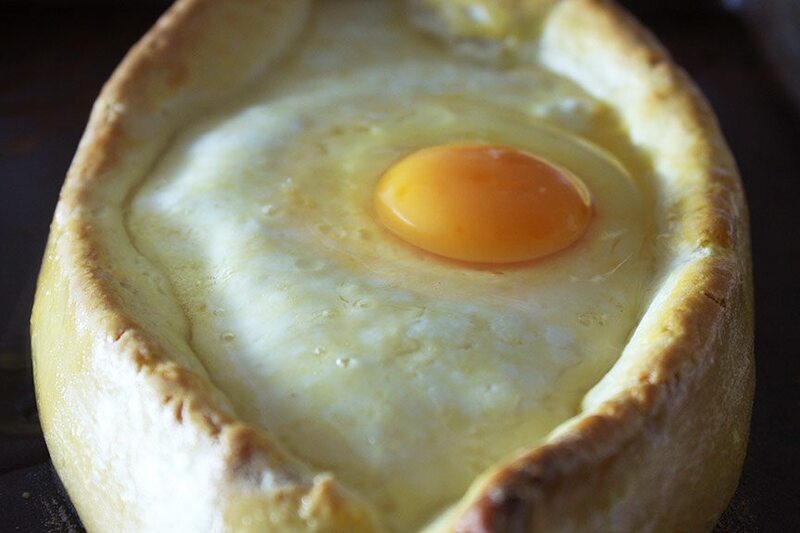 Bake khachapuri for 12 minutes until golden and baked through. Remove from oven. 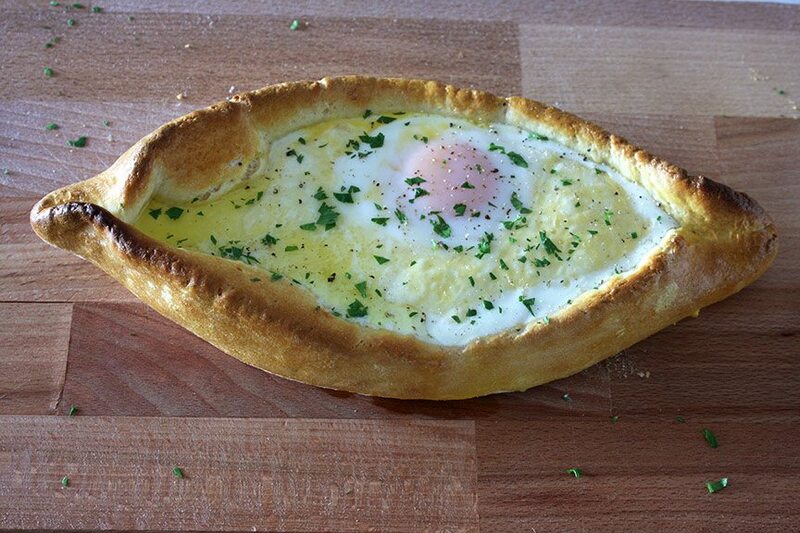 Glaze the bread with the egg yolk. 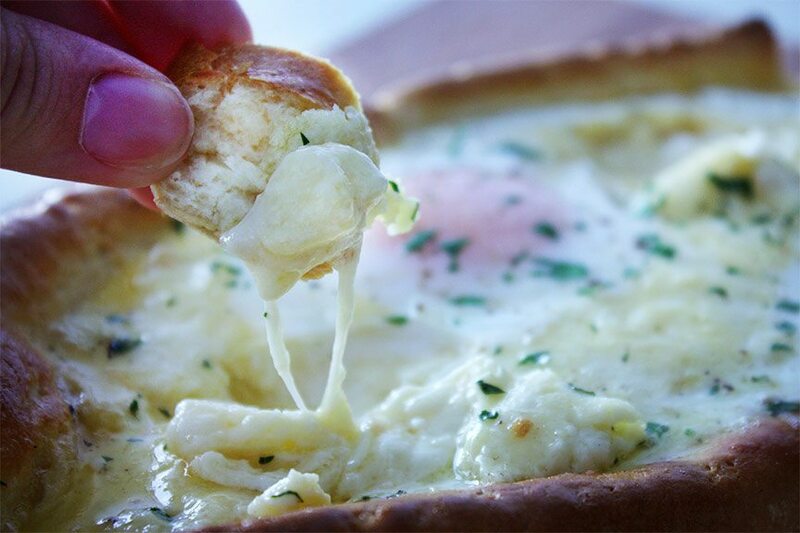 Crack the remaining egg into a bowl, then slowly slide the egg into the center of the cheese. Just in case you get a bad egg, this extra step will prevent it from ruining your beautiful cheesy masterpiece. Bake for another 3-4 minutes. Remove from oven, top with a pat of butter and serve immediately. A sprinkle of chopped parsley and freshly ground black pepper will make it sing. You are a genius. Your xachapuri po adjarskii looks other worldly. Thank you for making this gem accessible. Georgian cuisine seems to remain the world's best kept secret. 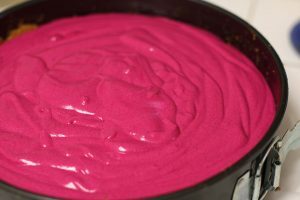 Can you share your magic with us on other Georgian recipes? Arimajerky – Oh, you are so kind! Thank you! I would love to dig into more Georgian cuisine. Any requests? You are a wonderful writer, and I can't wait to try this recipe. 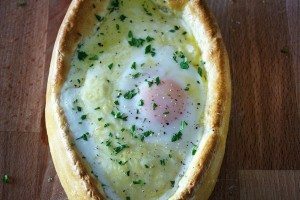 I love, love, love khachapuri, but was not sure it could be made by mere mortals. You have given me faith!!! Aww shucks, thank you Suzanne!